2017 is set to be the best year ever for the entire Salesforce Ohana—our customers, partners, MVPs and the whole community! 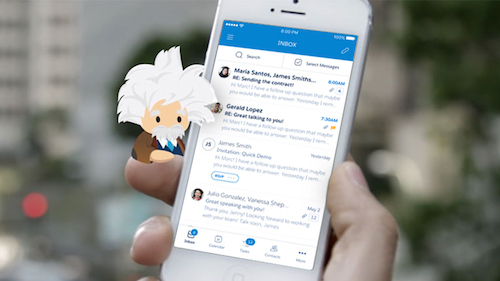 As the world's #1 CRM provider, companies of every size and industry are turning to Salesforce to transform their businesses across sales, service, marketing, commerce and more. And to support these transformations, we are modifying our event strategy by merging Salesforce Connections with Dreamforce and the Salesforce World Tour series. 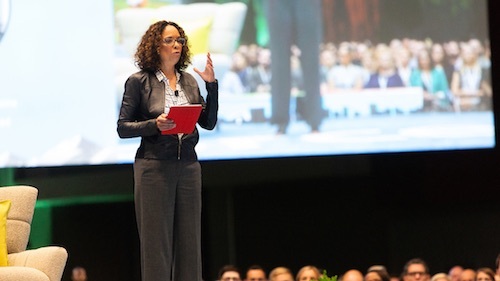 That's right, the excitement and energy of Connections will now be an integral part of Dreamforce and every Salesforce World Tour stop—making each a must-attend event for marketers. According to Forrester, two-thirds of CMOs say that they now have responsibility for the complete customer experience, including sales, service, marketing and more. Because of this, Salesforce wants to give marketers the opportunity to build tighter connections with our entire global community. The marketing footprint at Dreamforce will expand dramatically with additional keynotes and hundreds of breakout sessions, more hands-on training with every Salesforce for Marketing product, more networking opportunities with peers and more opportunities to help you transform your entire business. And with marketing now a core part of the World Tour line-up, attendees from both B2C and B2B companies will have access to innovation, content and training on diverse topics ranging from commerce, email, mobile, social and advertising, to B2B marketing automation, lead scoring and analytics. Marketers that attend any of our events will be able to tap into experts from across the customer journey including commerce leaders, service experts, sales strategists, top developers and more, to learn how to deliver incredible customer experiences that will set their brand apart. We want to thank our incredible ecosystem of customers, partners and our amazing sponsors who have helped make Connections the Digital Marketing Event of the Year. Your support has been invaluable, and we look forward to a continued partnership. If you are interested in learning more about Salesforce World Tour, please view the prospectus here. And if you are interested in sponsorship opportunities at Dreamforce and other upcoming Salesforce events, please email partnersuccess@salesforce.com. 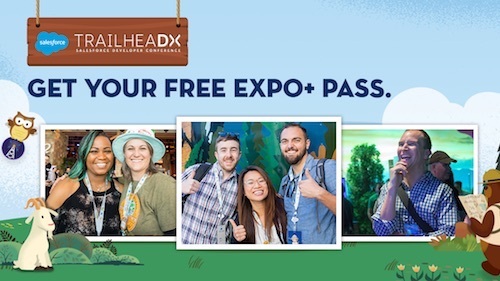 The previously scheduled 2017 Connections event, which was scheduled to take place June 13-15 in Chicago, will now be a free Salesforce World Tour event on June 15. 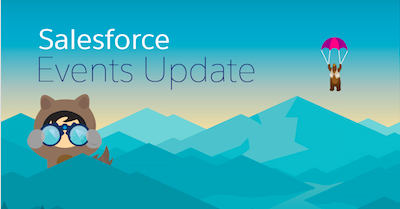 Stay tuned for more exciting news on upcoming Salesforce programs specifically for marketers and upcoming World Tours. Find the latest schedule of Salesforce events at: http://www.salesforce.com/events/. And save the date for Dreamforce 2017, November 6 - 9 in San Francisco!